Michael Bonacini | TV, eh? Hi Virginia. Here’s the link to the sweet half-moon pastries recipe Michael Bonacini made on a recent episode of Bonacini’s Italy. Enjoy! Culinary superstar Nigella Lawson shares the food she cooks for family and friends in her latest, six-part series NIGELLA: AT MY TABLE, airing Mondays at 8 p.m. ET. A companion to her latest best-selling cookbook of the same name, the series celebrates home cooking and the food that makes people feel happy and welcome as they sit around a home cook’s table. Whether offering up her fresh take on familiar classics, or creating new dishes inspired by different cuisines, Nigella ensures that everyday eating is always pleasurable, with a minimum of fuss. Recipes include Parmesan French Toast, Herbed Leg of Lamb, and Beef and Aubergine Fatteh. Following AT MY TABLE, viewers venture to Italy with MASTERCHEF CANADA’s Michael Bonacini as he showcases the country’s diverse and sumptuous fare in the premiere of Gusto’s latest original series, BONACINI’S ITALY. Airing Mondays at8:30 p.m. ET, the 15-episode, half-hour series features Bonacini preparing unique and sophisticated dishes from specific regions across Italy including Seafood Couscous (Sicily), Mint Fava Bean Soup (Lazio), and Chickpea Flatbread (Liguria). BONACINI’S ITALY is created by Chris Knight, President and CEO, Gusto Worldwide Media. Bell Media Production Executive is Danielle Pearson. Corrie Coe is Senior Vice-President, Original Programming, Bell Media. Pat DiVittorio is Vice-President, Programming, Bell Media. Mike Cosentino is Senior Vice-President, Content and Programming, Bell Media. Randy Lennox is President, Bell Media. 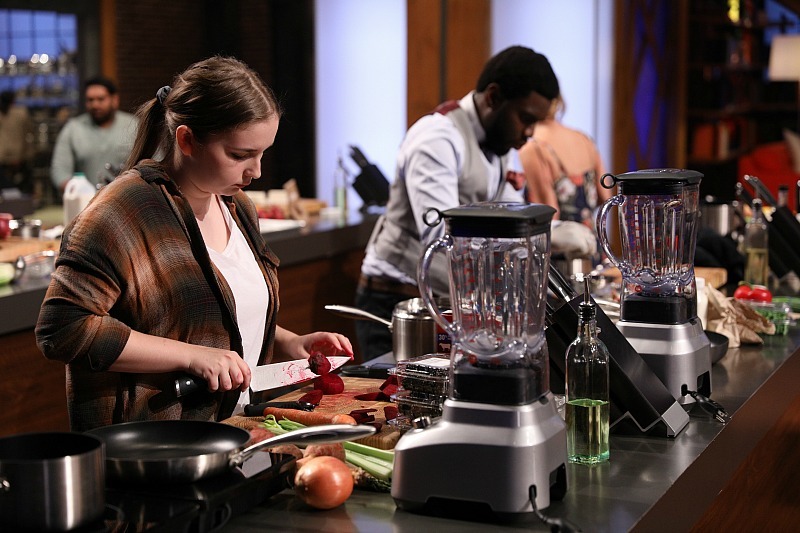 While the contestants change every season of MasterChef Canada, one trio has stayed the same for the past four. Michael Bonacini, Claudio Aprile and Alvin Leung serve not only as judges on CTV’s culinary competition but mentors as well. They’ve taken that job seriously since Episode 1 of Season 1. Now, with the first episode of Season 5 under our belts, we spoke to Bonacini and Aprile about five seasons on the show, their responsibility as mentors thoughts on two home cooks we’ve got our eyes on. Congratulations on five seasons on MasterChef Canada. Does it feel like it’s been that long? Michael Bonacini: It’s been an incredible journey and I’ve loved every part of it. 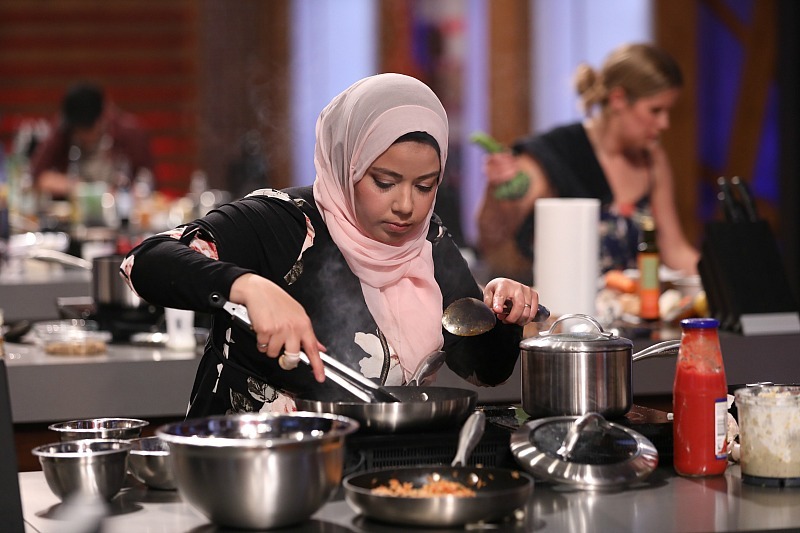 I still find it as exciting today as the first day that I got the phone call that said, ‘You have been chosen to be one of the judges to be on MasterChef Canada.‘ It’s a wonderful feeling and to be five years in is pure magic. The cherry on the cake, so to speak. Claudio Aprile: Yeah, 100 per cent. Listening to Michael it reminded me of the phone call that I also received. I went into it very cautious and unsure it was what I wanted to do with my career. And then the competitive gene in me kicked in and I went from being unsure to really sure I wanted it when I did the audition. I waited a few weeks and there was no call and when the call finally did come in it was a really exhilarating phone call. What made it very interesting for me is during the audition process, Michael, Alvin and myself spent a lot of time just hanging out off-camera and it was interesting that the three of us got picked. I often thought there was another camera off somewhere just capturing our interaction because the three of us got on. I’m very mindful that this is a rare opportunity and it’s also a time-sensitive opportunity that won’t last forever. When I’m on set with Michael, Alvin, the crew, the writers … we’re really lucky to be part of this family that we’ve made. When I’m on set I’m there and in the moment, in the zone, and it just feels great. Claudio, this is the first season the three of you hand-delivered the good news to the Top 21 home cooks. What was that experience like? One of the things I have loved about MasterChef Canada is the three of you. You are always so respectful of the contestants even when something doesn’t taste or turn out the way you thought it should. You’re enthusiastic, you coach them along and focus on the positive rather than the negative. How important is it for you to be that way rather than cut the home cooks down? MB: It is so important to be a mentor on the show. The home cooks have so much respect for each of the three judges. This is something they are putting their lives on hold for, the opportunity to have a life-changing experience for themselves and not in a negative way. Yes, there are dishes that are good and great, and there are dishes that are—to be quite honest—not so great because of bad plating, under seasoning or bad decisions. But all three judges know they have seen that over the years in our own restaurants from our own individual selves and our own employees and it’s part of the course of mentoring, growing and developing people. Long gone are the days when you could scream and shout, throw something at someone and have a tantrum. That’s no way to mentor. It’s about being honest—and I’m not afraid to be brutally honest—it is about communicating clearly and concisely about what I feel is incorrect or could be improved or should have done to the dish to make it better. I think that’s important feedback to a home cook who may or may not have the chance to cook for you again. If that was my son appearing on such a show, I would expect the mentor to act the same way. CA: When you’re reading someone the culinary law of the land, it serves us in a very poor way if we’re degrading or condescending. It’s not a good look whether it’s a television program or real-life, the optics on that don’t look good. When you can actually control your emotions and speak to someone with dignity and respect it captures people’s attention, both the home cooks and the audience. I have to give the folks at Proper Television some kudos. Having that twist of eliminating home cooks during their audition dish prep was dramatic. Clearly, the point being driven home is that you can’t get comfortable in this competition. CA: The word ‘comfort’ is not a word that I would think of when I think about MasterChef Canada. There is nothing comfortable about it. It is uncomfortable, it’s pressurized, it’s unpredictable. That’s for many reasons. The show is about entertaining first. We don’t want them to figure things out. We want it to be exciting and who doesn’t love the element of surprise? The cooks that watch the show think they have us decoded. And I have to say, you thought wrong. We switch it up a lot. Collectively, we have over 100 years of culinary experience. There is nowhere to hide. We will pick things out. Let’s discuss two home cooks that caught my eye in Episode 1. Beccy is just 19 years old and made a beautiful beef and beetroot dish. What can you say about her? MB: Beccy is an interesting young home cook. She has very few words to say and she’s fascinating to watch. She is the youngest home cook we’ve ever had on the show and that’s what makes her interesting. She comes from England and is a tile-setters helper. It’s a pretty humble job and she loves to cook at home. Claudio, can you comment on Reem? A lot has been made of her Muslim background already, but I was wowed by her baba ganoush. CA: I think Reem is a very, very talented home cook. There is the religious aspect to her story, but I feel she’s going to champion a different cause. She is very strong and a very kind person. But don’t mistake her kindness for weakness. Her food is incredible, like knockout dishes.